Click here to view the PowerPoint presentation associated with this workshop It’s an age-old question for which many homeowners seek answers: “How do I make my windows stop leaking?!? More than 35 attendees came to Nicholson House for our “Windows 101” workshop. 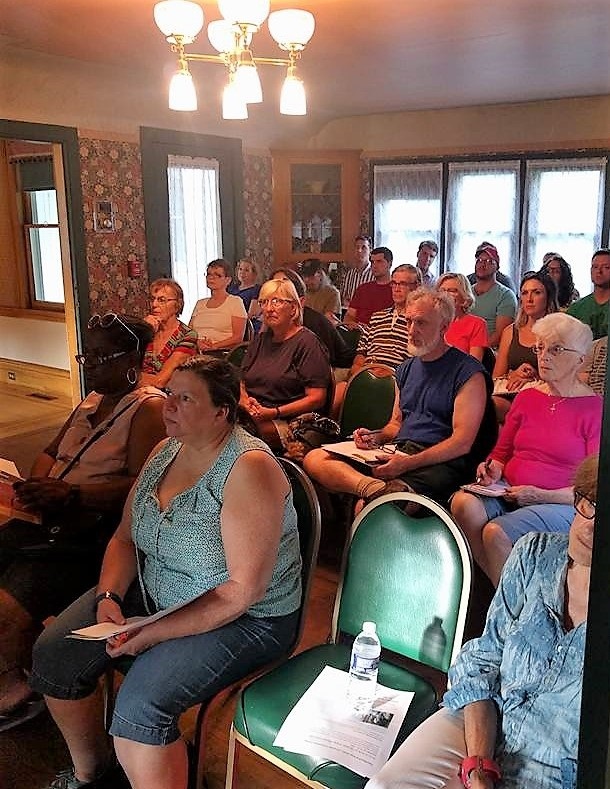 More than 35 area homeowners came to Nicholson House on June 15 for LakewoodAlive’s “Knowing Your Home: Windows 101” free workshop. Led by expert Fred Cortright, this workshop explored techniques to help homeowners maximize their windows’ efficiency. 1. Older can be better. 2. The best investment is often investing in the windows you already have. Generally-speaking, it’s more cost-effective to repair your existing old-growth wooden windows rather than replace them with new windows. On average, replacement windows (including installation) nowadays cost approximately $800 per window. If you were to restore or repair your wooden windows, you’d likely save several hundred dollars per window and maintain windows that could potentially last another 100 years. There are often simple fixes to modernize your existing windows and make them more effective. 3. Storm windows are your friend. 4. Keep perspective, budget properly and be ready to prioritize.